Great news – we have funding! Dagenham Parish Church are very pleased to announce that we have been supported by the Heritage Lottery Fund (HLF) for an initial grant on the repair work to the church tower. 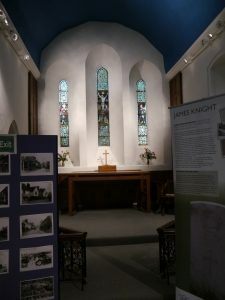 As well as addressing urgent repair works and carrying out essential conservation work to the church building, we will also be running an activity programme around our heritage so more people can engage with the church and its history. Development funding of £47,500 has also been awarded to help us progress plans to apply for the full grant at the end of this year. We hope to then begin the capital works in Spring/Summer 2017. We will be sharing more about our activity programme and gathering people’s opinions and support for the project. If you’d like to know more, please speak to Steve.